The description that Hector Berthelot* gave of Molson in the Montreal newspaper La Patrie in 1885 has often been repeated; on the basis of old people’s recollections going back as far as 1820, he portrayed Molson in blue tuque, wooden shoes, and homespun. His final paragraph, however, has not always been noted: “After he closed his brewery at night, he took off his rustic garb, donned black evening dress and a white waistcoat, and sported a pince-nez on a long ribbon. 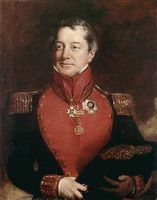 When he was dressed grandly, Mr Molson behaved like a steamboat owner.” But probably also not kept in mind is Édouard-Zotique Massicotte*’s caution in his introduction to the 1916 edition of Berthelot’s articles that during his lifetime the writer was considered less a historian than a humorist. 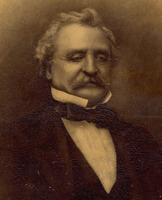 At the time Molson was transferring managerial responsibilities in the shipping firm to his eldest son, some financial groups in Montreal (in particular the brothers John* and Thomas Torrance and Horatio Gates*) and at Quebec (John Goudie*, Noah Freer, and James McDouall, among others) were beginning to compete fiercely on the St Lawrence, launching various steamboats. The competition led to over-investment, and then to consolidation of the firms. 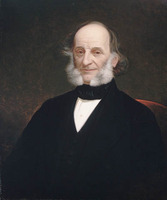 On 27 April 1822 the St Lawrence Steamboat Company [see William Molson] was created, with assets including six ships, three belonging to the Molsons; its management was handed over to John Molson and Sons, which held 26 of the 44 shares. Rivalry with the Torrances continued for some time, but it was finally resolved by cartel agreements on services, prices, and even co-ownership of certain ships. 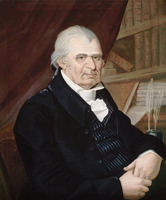 [John Molson Sr figures quite prominently in each of the three published works on the Molson family. B. K. Sandwell*, The Molson family, etc. (Montreal, 1933), is a serious endeavour, although occasionally too laudatory, which deals almost exclusively with John Molson Sr and his three sons. The work is useful for studying the genealogy of the family. Merrill Denison*, The barley and the stream: the Molson story; a footnote to Canadian history (Toronto, 1955), is a more thorough investigation of the history of the whole family, but too many statements (including dates) are open to question and are not supported (and in some instances are contradicted) by primary sources. S. E. Woods, The Molson saga (Garden City, N.Y., 1983), has been severely criticized by reviewers, and the author’s goal of presenting the inside story of the Molsons has elicited little interest. By-laws of St. Paul’s Lodge, no.514 . . . (Montreal, 1844). Docs. 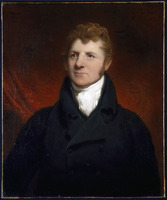 relating to constitutional hist., 1791–1818 (Doughty and McArthur); 1819–28 (Doughty and Story). History and by-laws of Saint Paul’s Lodge, no.374 . . . (Montreal, 1876; 2nd ed., Montreal, 1895). L.C., House of Assembly, Journals, 1816–20; Legislative Council, Journals, 1832–36; Statutes, 1792–1836. Select documents in Canadian economic history, ed. H. A. Innis and A R. M. Lower (2v., Toronto, 1929–33), 2: 140–41, 199–200, 295. “Union proposée entre le Haut et le Bas-Canada,” PAC Rapport, 1897: 33–38. L’Ami du peuple, de l’ordre et des lois, 13 janv. 1836. La Minerve, 14 janv. 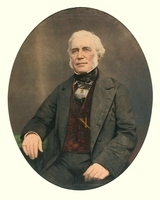 1836. Montreal Gazette, 12, 16 Jan. 1836. Morning Courier (Montreal), 14, 21 Jan. 1836. Quebec Gazette, 15 Jan. 1836. F.-J. Audet, Les députés de Montréal, 88–91. Borthwick, Hist. and biog. gazetteer, 34–35, 37–38, 44, 50–51, 53. Joseph Bouchette, The British dominions in North America; or a topographical description of the provinces of Lower and Upper Canada . . . (2v., London, 1832), 1: 431; Description topographique du Bas-Canada, 489–90. Desjardins, Guide parl. Montreal directory, 1820: 20–21, 23, 26, 30, 108. F. D. Adams, A history of Christ Church Cathedral, Montreal (Montreal, 1941). W. H. Atherton, History of the harbour front of Montreal since its discovery by Jacques Cartier in 1535 . . . ([Montreal, 1935]), 3–4; Montreal, 1535–1914 (3v., Montreal and Vancouver, 1914), 2: 138, 271, 275–79, 283, 435, 527, 556, 575–76, 607–8. Hector Berthelot, Montréal, le bon vieux temps, É.-Z. Massicotte, compil. (2v. en 1, Montréal, 1916), 1: 23–25; 2: 11, 18, 53. Campbell, Hist. of Scotch Presbyterian Church, 82–83, 121–24. Christie, Hist. of L.C. (1848–55). François Cinq-Mars, L’avènement du premier chemin de fer au Canada: St-Jean-Laprairie, 1836 (Saint-Jean-sur-Richelieu, Qué., 1986), 47–53, 80–86, 91–97, 109–11. G. E. Cone, “Studies in the development of transportation in the Champlain valley to 1876” (ma thesis, Univ. of Vt., Burlington, 1945) J. I. Cooper, History of St George’s Lodge, 1829–1954 (Montreal, 1954). Creighton, Empire of St. Lawrence. Denison, La première banque au Canada, 1: 219–74. Franklin Graham, Histrionic Montreal; annals of the Montreal stage with biographical and critical notices of the plays and players of a century (2nd ed., Montreal, 1902; repr. New York and London, 1969). J. H. Graham, Outlines of the history of freemasonry in the province of Quebec (Montreal, 1892), 168, 170–73, 182. Hochelaga depicta . . . , ed. 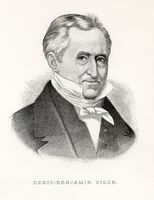 Newton Bosworth (Montreal, 1839; repr. Toronto, 1974). H. E. MacDermot, A history of the Montreal General Hospital (Montreal, 1950), 4: 2, 4, 12, 34, 41–42, 110. Peter Mathias, The brewing industry in England, 1700–1830 (Cambridge, Eng., 1959). A. J. 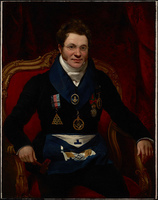 B. Milbourne, Freemasonry in the province of Quebec, 1759–1959 (n. p., 1960), 72, 75–76, 78–80, 82. Ouellet, Bas-Canada; Hist. économique. S. B. Ryerson, Unequal union: roots of crisis in the Canadas, 1815–1873 (2nd ed., Toronto, 1973). Alfred Sandham, Ville-Marie, or, sketches of Montreal, past and present (Montreal, 1870), 91–93. 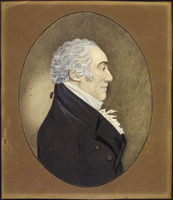 Maurice Séguin, La “nation canadienne” et l’agriculture (1760–1850): essai d’histoire économique (Trois-Rivières, Qué., 1970). Taft Manning, Revolt of French Canada. G. J. J. Tulchinsky, “The construction of the first Lachine Canal, 1815–1826” (ma thesis, McGill Univ., Montreal, 1960); River barons, 14, 25, 51, 111, 213–14, 216–17. G. H. Wilson, “The application of steam to St Lawrence valley navigation, 1809–1840” (ma thesis, McGill Univ., 1961). Owen Klein, “The opening of Montreal’s Theatre Royal, 1825,” Theatre Hist. in Canada (Toronto and Kingston, Ont. ), 1 (1980): 24–38. Alfred Dubuc, “MOLSON, JOHN (1763-1836),” in Dictionary of Canadian Biography, vol. 7, University of Toronto/Université Laval, 2003–, accessed April 24, 2019, http://www.biographi.ca/en/bio/molson_john_1763_1836_7E.html.